New developments could push back launch of Vladivostok LNG plant. Russian business daily Vedomosti reported on Thursday that follow-up exploration of Gazprom’s Yuzhno-Kirinsky site on Sakhalin in Russia’s Far East has revealed 464 million tons of oil deposits. These are the largest reserves discovered on the project. The initial estimates of gas deposits on the site were 563.2 billion cubic meters. Now the total volume is 682 billion cubic meters. This is more than the total volume of the gas extracted in Russia last year. 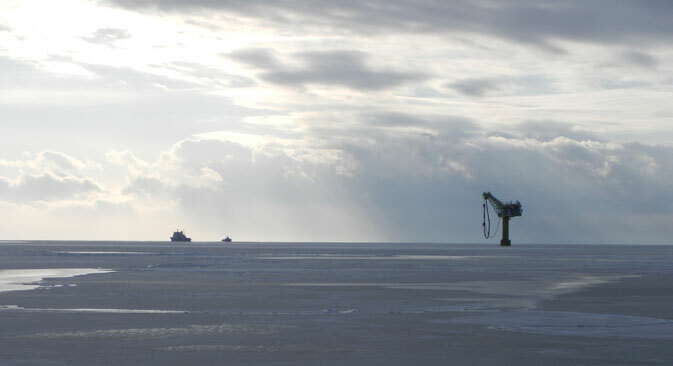 The new discovery will likely require Gazprom to change its plan for the development of the area. Gazprom had previously planned for the Yuzhno-Kirinsky site to be the resource base for the Vladivostok LNG plant, which was scheduled to begin operations in 2018. However, as a rule, in the case of adjacent oil and gas deposits, oil is extracted first. Now, taking into consideration the time needed to develop the new discoveries, launch of the projects could be pushed to 2019. Apart from the Yuzhno-Kirinsky site, Gazprom has two more deposits in the “Sakhalin-3” project, which should yield 8-9 billion cubic meters of gas per year at peak capacity. However, these are meant to supply the Russian Far East, while deposits at Yuzhno-Kirinsky, the biggest of the three, are intended for export. This article has been abridged from the original, which can be read in Russian at Vedomosti. Click to enlarge the infographics.